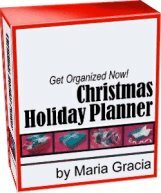 Simplify The Holidays - Home Organize It! "What do the Holidays mean to you?" I encourage you to really listen to their answers. Kids just don't worry about all the "extras" like stocking stuffers, wrapping paper and window clings. And, although many DO think about the gifts, what they really love is the anticipation of a very special time of celebration. 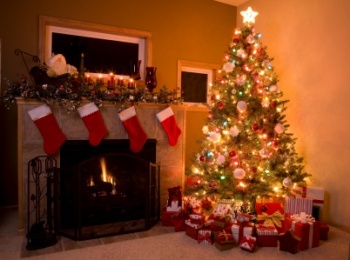 Lots of us INTEND to simplify during the holiday season, slow things down, shop earlier and spend less. But what really happens? We get caught up in the whirlwind trying to do everything "just so" and exhausting ourselves in the process. So if you really want to simplify this year, write down your children's answers and design your holiday plans from them. Simplifying during this season really CAN happen, but realistically it will take a few years to make any big changes. YOU MAY ACTUALLY HAVE TIME TO ENJOY THEM! Choose from any of the links below and make plans to Simplify your Holiday Season starting this year! Return From Simplify The Holidays To Home Organize It!